Super versatile size jars: can be used as serving dishes, storage jars or for preserving jams, salsas and chutneys as well as water bathing or pressure canning. This shape is also suitable for freezing. 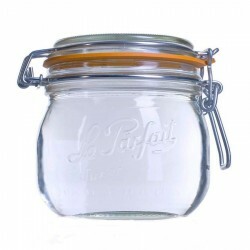 Brand new 300ml hexagonal preserving jars in a 20 pack. These jars are the perfect size for jams, c..